Zuri Benitez and her sisters have always lived in the same house in the same Brooklyn neighborhood. But now their oldest sister Janae is back from college for the summer and the rich Darcy family is moving into the renovated mansion across the street. And thanks to gentrification, their neighborhood is becoming almost unrecognizable. Zuri must find a way to be sure of her own heart even through everything is shifting around her. I’ve loved Pride and Prejudice since I was about 12. I’ve seen a lot of adaptations, read a lot of retellings, joined Austen message boards, and even written part of a senior thesis on the book in college. So I was really intrigued by the idea of this story especially since Zoboi’s first book, American Street, got a lot of praise. I’m so glad I did pick this one up, because I really loved it. A lot of Austen retellings, especially for the YA audience, focus on the romance of the stories and skim over the fact that Austen was a keen observer of power structures and class and how that influences the decisions and worldviews of her characters. But Zoboi pulls on that strand and highlights it, updating the social and economic status of both Darcy and the Bennets in ways that made a lot of sense for her present-day Brooklyn version. Overall, I just thought that Zoboi made a lot of really smart choices in deciding which parts of the original story to include and which parts to change or ditch. For instance, the Benitez parents are much more loving than the Bennets, but Zuri’s father is still bookish and quiet and her mother is still shamelessly trying to get her daughters together with any rich guy around. I also loved the way Zuri’s neighborhood echos Elizabeth Bennet’s: it’s an insular and small circle of people who all know each other and know their history, until the Darcys arrive. The language was also delight–Zoboi is really good at writing zingy dialogue and she pays a lot of attention to the way people speak and the front they’re presenting to the world. But she also excels at quietly lovely moments where Zuri’s observation and depth shine through. I loved Zuri herself, who is so stubborn and passionate, but who also knows her own worth and refuses to let herself be made less than she is. 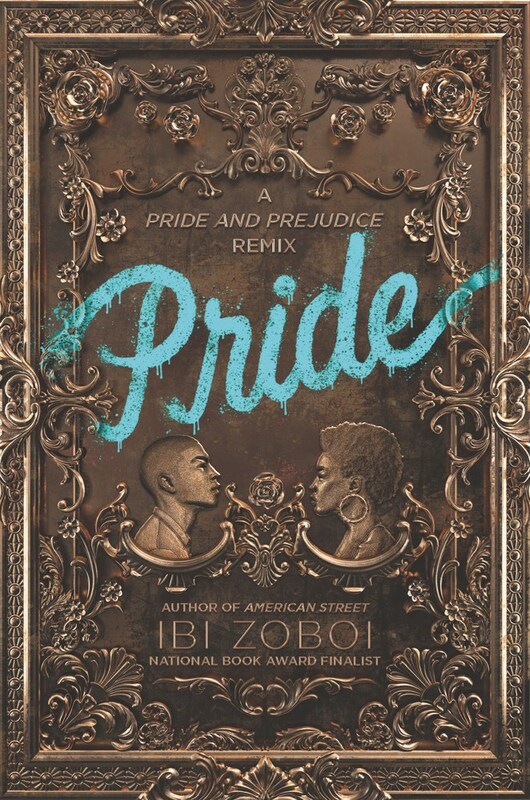 This book just felt very thoughtful, like Zoboi really reached deep into the heart of Pride and Prejudice and looked at the layers that run underneath the main relationship between Darcy and Elizabeth. And then in writing Darius and Zuri’s story, she chose places to echo the heart and beat of the original and places to make their story a new one. I really loved it and appreciated the respect and depth Zoboi brought to Pride. Jane Austen really isn’t my cup of tea (shocking I know) so I don’t know if this is for me, but glad it did the original sone justice in the retelling. That’s fair! If you do try it, I’d be curious to know how it reads for a non-Austen fan. I actually never finished American Street, but I really liked this one. I really do want to read this! Oh, I’d love to hear what you think, Katy. And I might even get to it now!